Broadband India Forum (BIF) welcomed the TRAI recommendations for Promotion of Local Telecom Equipment Manufacturing for its realistic assessment of India’s true potential in Telecom Equipment Manufacturing. While having said that, the sector regulator has failed to suggest any concrete steps to make India a global telecom R&D hub.TRAI has also failed to incentivise complex network gear production in its recent recommendations on ways to boost local telecom equipment manufacturing in the country. According to him, manufacturing value added (MVA) by Indian manufacturers, either OEMs or ODMs, is relatively small due to high dependence on imported components and completely built up phones. Considering rapid increase in smart-phone penetration from current levels and large dependency on imports, a slew of measures around making India a Global R & D hub, having a robust IPR framework, focus on exports etc is crucial for Govt’s flagship project -Make in India. Recently, Trai recommended incentivising local design and manufacturing through a Rs 1,000Cr fund with an aim to eliminate India’s dependence on imported telecom gear by 2022. 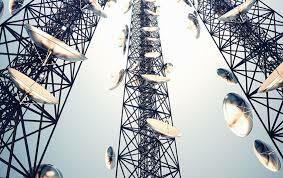 It also suggested that all forms of network gear such as routers, base stations, switches, multiplexing systems to antennae be manufactured locally to dispense with imports. The reality of handset manufacturing in India is that there is not enough domestic investment occurring and the manufacturing consists mostly of producing knocked down sets; there is little value addition occurring (6%) locally. Under the Govt’s PMP program, the primary objectives are that of promoting depth in the domestic manufacturing of cell-phones and their components over a period of time, and that of substantially increasing local value addition in such manufacturing activities. However, the foundation of PMP rests on increasing customs duties for imported components. However, India’s ability to raise customs duty is limited. Therefore, a cleaner approach would be to give direct fiscal incentives to the manufacturers. BIF & EY in a joint study in 2016 had proposed to refund the GST paid to the manufactures as a fiscal incentive. This would motivate Indian manufacturers to add more value since GST directly measures the value added by the manufacturers. BIF Is Disappointed with TRAI’s Recommendations 0 out of 5 based on 0 ratings. 0 user reviews.